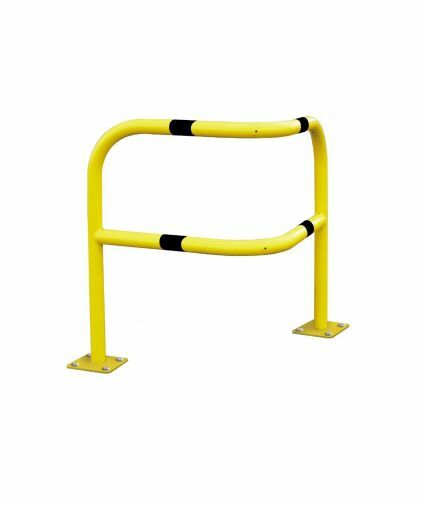 Street Furniture Direct offers a comprehensive selection of hoop barriers, any size or shape we can accommodate. 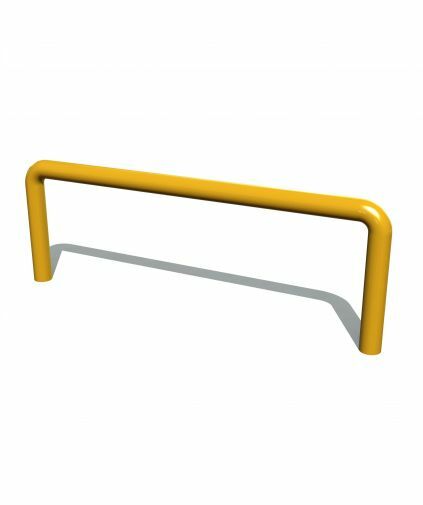 From Stainless Steel Hoop Barriers to Galvanised. 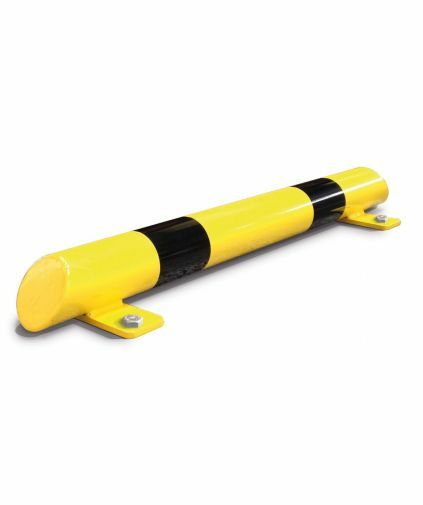 Protect against collision damage, limiting the range of forklifts to ensure safety of people and racking. 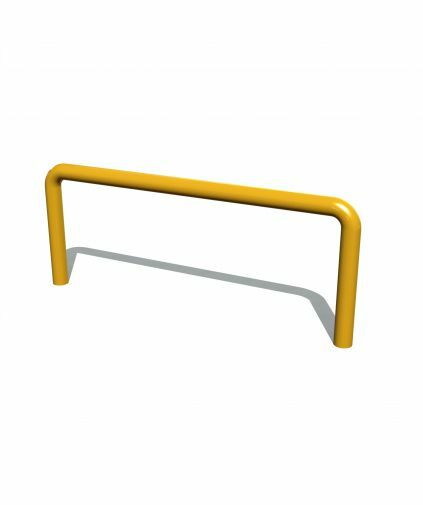 High quality 76 mm diameter steel. 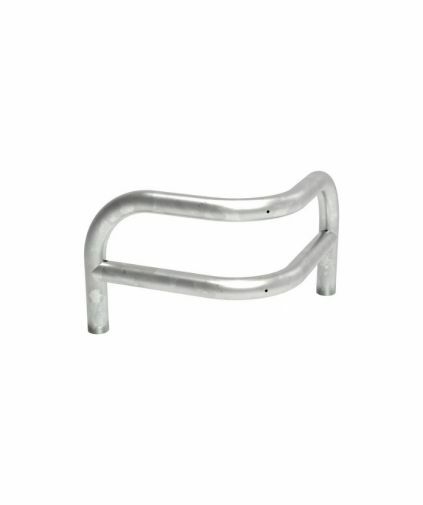 Pallet racking protectors are required for fixed racking installation where industrial trucks are used. 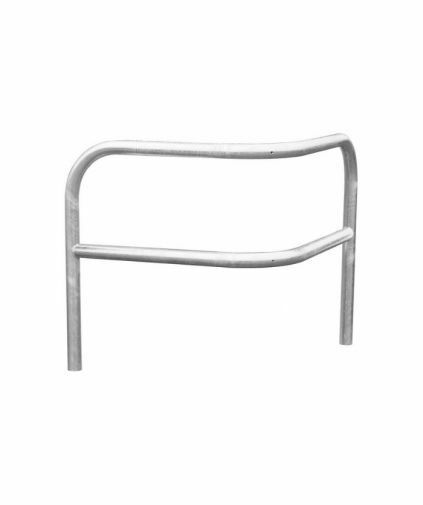 Black Bull Pallet Racking Protectors provide the ideal solution in most situations. 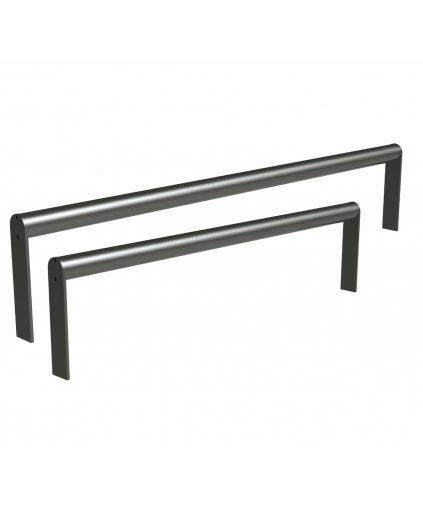 They can also be used to protect machinery, partition systems and rectangular columns. 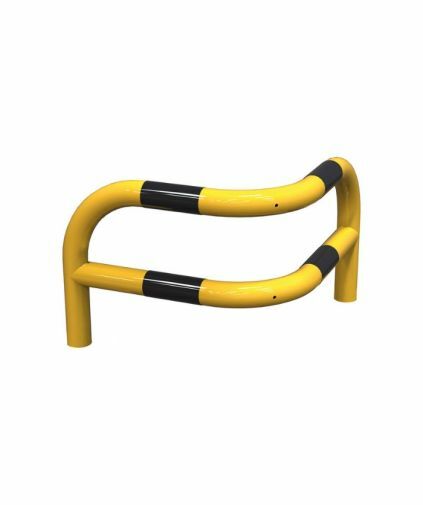 Manufactured using 76mm Diameter tubing and robust enough to stop any medium vehicle from pulling to far forward. 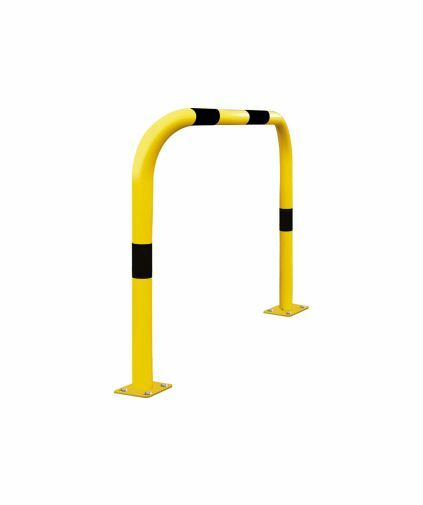 The Short Angled Corner Safety Barrier is ideal to protect the corners of buildings from accidental vehicle damage. 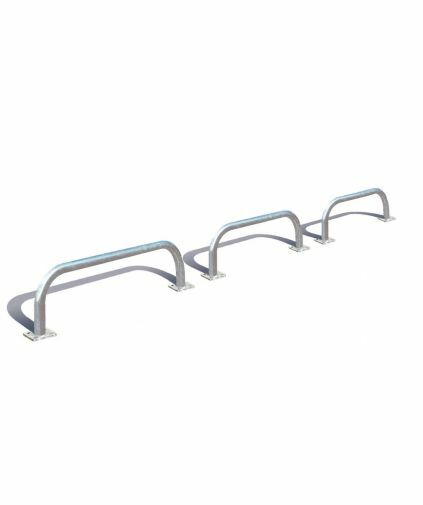 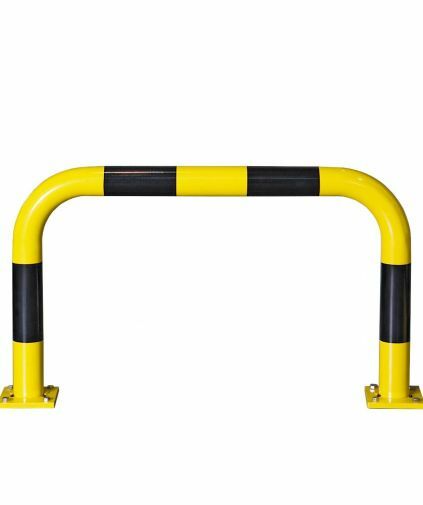 Hoop Barriers or Forecourt Protection Hoops have become a popular method of securing large perimeters for the motor dealership industry. 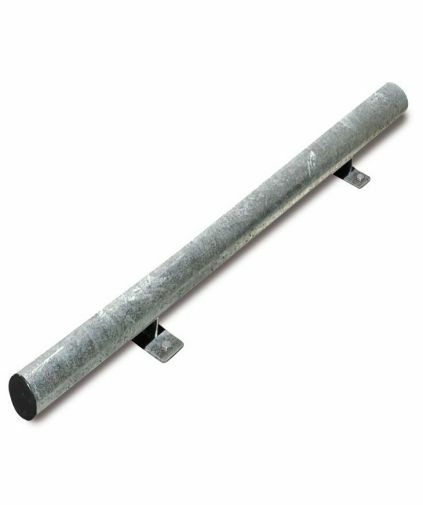 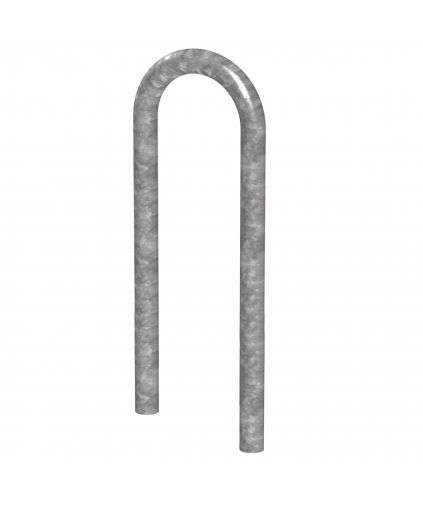 These can be manufactured in various diameters, lengths and heights, either root fixed, or bolt down in a variety of finishes. 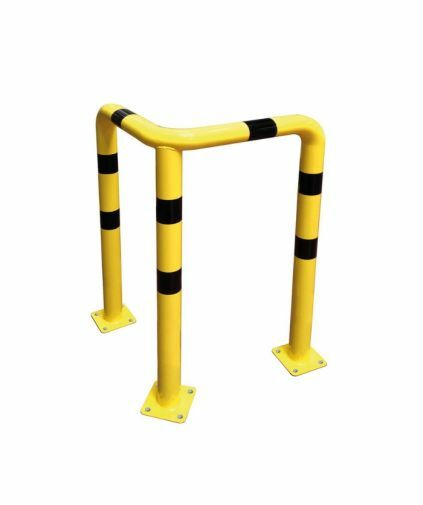 Ideal to Protect the Corners of buildings from accidental vehicle damage. 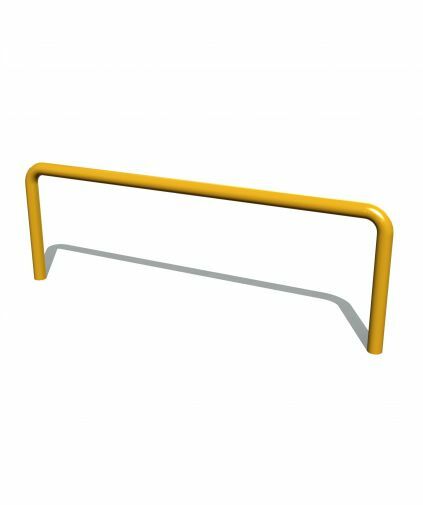 The Angled Corner Safety Barrier is Surface Mounted for easy installation and Powder Coated in high visibility colours for added awareness. 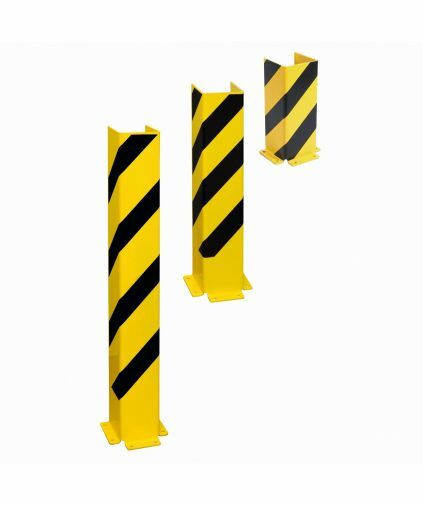 Designed at a sharp angle and with 3 legs to protect against damage in a collision and for high visibility.